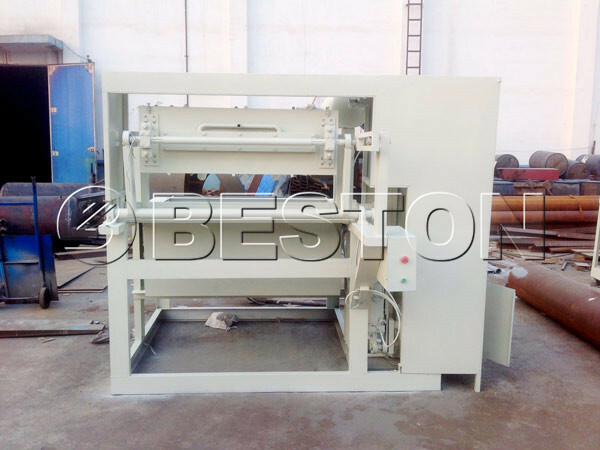 Egg tray machine is used to produce paper egg trays. The paper egg tray is a good packing choice for eggs, which can protect the eggs from collision. With the growing demand for eggs in our daily life, many businessmen realise that investing this industry can bring a geat benefits for themselves. Therefore, many people begin to buy egg tray making machine. Meanwhile, many customers who are running chicken farm would like to invest the egg tray manufacturing business. They can use the paper egg trays that made by themselves. It is a good way to reduce the cost. 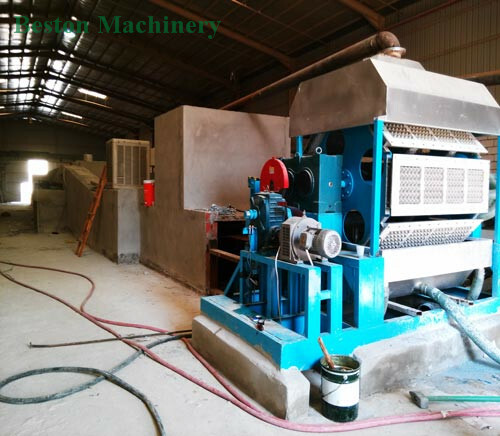 Our machines have been exported to many countries: Algeria, Egypt, India, Dominica, Zambia, Tanzania, Cote d’Ivoire, Philippines, Russia, Ukraine, Uganda, Australia, Argentina, Brazil, Saudi Arabia, Libya, Syria and so on. How Many Pieces Do You Want to Produce Per Hour? 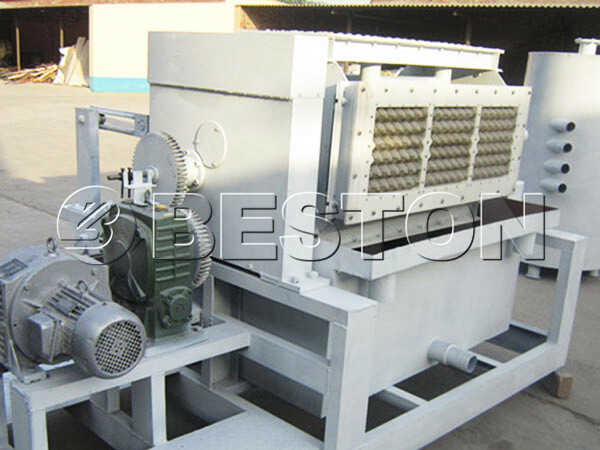 We Beston Machinery can provide you various models of egg tray machines. The machine is divided into manual egg tray machine(1000pcs, 1500pcs per hour), semi automatic machine(2000pcs, 2500pcs, 3000-4000pcs per hour) and automatic machine(4000-6000pcs per hour). They all have superior quality and competitive egg tray making machine price, so they are favored by our customers. Please contact us to know more detailed information and paper egg tray making machine price. 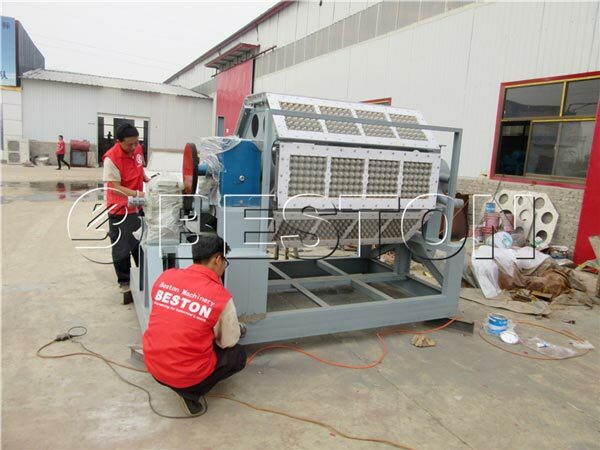 Paper egg trays are the final products of Beston egg tray manufacturing machine. Commonly, the egg tray manufactured by our paper tray making machine has 30 holes. We also provide apple tray mould, shoe supporting tray, fruit tray and cup tray etc. If you want to produce other trays, just replace the mould. Do you want to know more detailed information? Just contact us. What Egg Tray Drying System Do You Want? 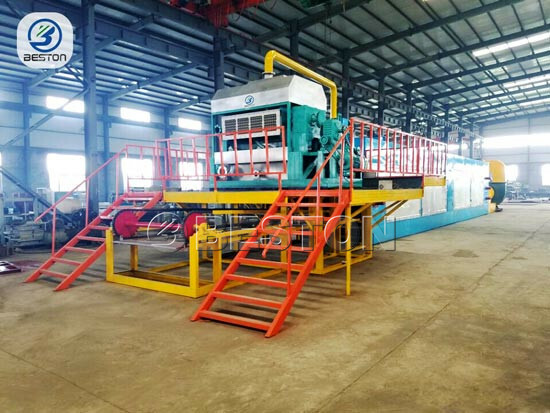 There are three drying systems of egg tray making machine, such as natural drying system, semi-automatic drying system and automatic egg tray drying line. Natural drying system requires labor force but saves equipment costs. When your productivity is small, like 1000 pieces output per hour, you can choose to dry egg tray under the sun. Certainly, suitable temperature and wind should be guaranteed. Semi-automatic drying system needs few people to operate, so it relatively saves the cost. 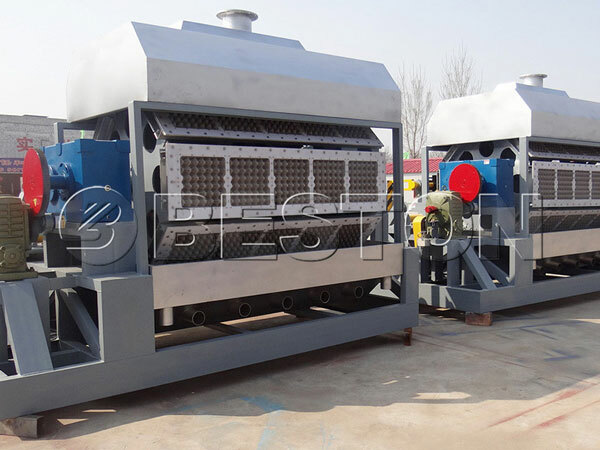 When your paper egg tray making machine is small or medium, you are supposed to choose the semi-automatic dryer. Workers use small car to convey paper egg tray to drying room. 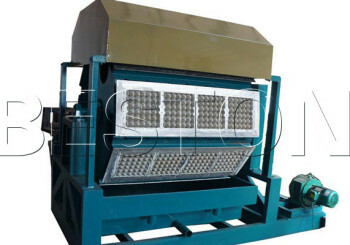 Compared with natural drying system, this drying system can dry more egg trays per hour. it is suitable for semi automatic egg tray machine. Automatic drying system offers automatic assembly line and doesn’t need extra people to work, which is easy to operate and manage. When the productivity is medium or large, you can select the automatic dryer. This dryer has simple installation, multi-layer structure and reasonable price. And we always use natural gas or diesel oil as dryer’ fuels. You can choose the suitable one according to your requirement. It is a good choice for automatic egg tray machine. Many factors will influence how to choose dryer, such as climate, productivity, factory scale, etc. If you are not familiar with these conditions, please leave your message. We will provide you the best plan and the best paper egg tray machine price. 1. 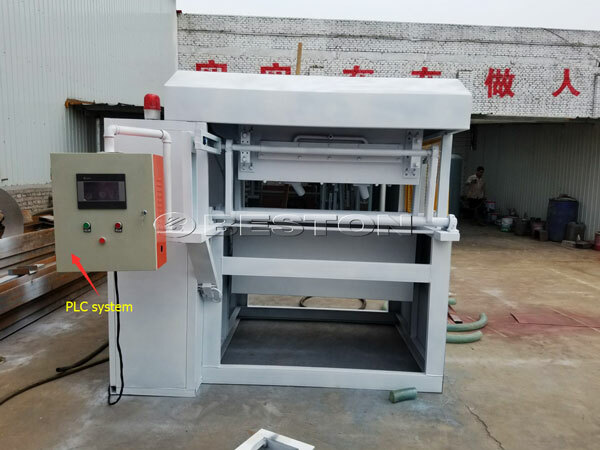 The egg tray making machine cost: through continous update manufacturing technology, we reduce the manufacturing time of egg trays machine and egg carton machine greatly. To some extent, we decrease the cost and price of egg tray machine. 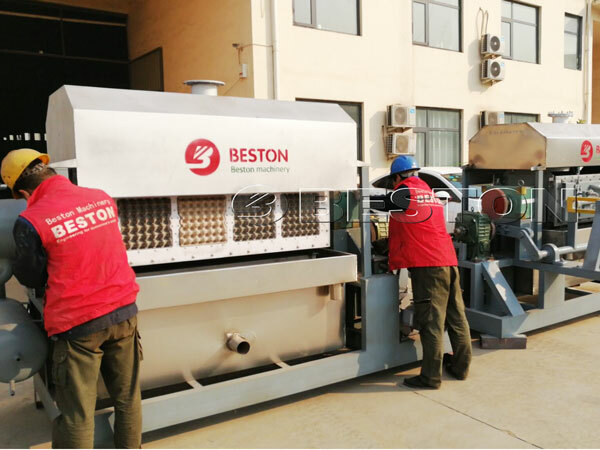 Compared with other manufacturers, we Beston Machinery may not have the lowest price, but we have the best quality. For the same price, you will see our quality is more superior. So, get the egg tray machinery price now! 2. 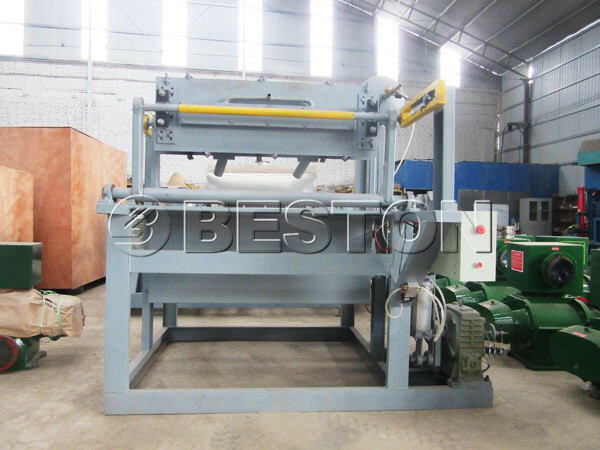 The productivity: as we all know, high productivity machine has higher price, so does the egg trays making machinery. If you have samll business, you can choose the small egg tray machine. If you run big factory, we suggest you buy our automatic machine to achieve the fully automatic manufactuing process. 3. 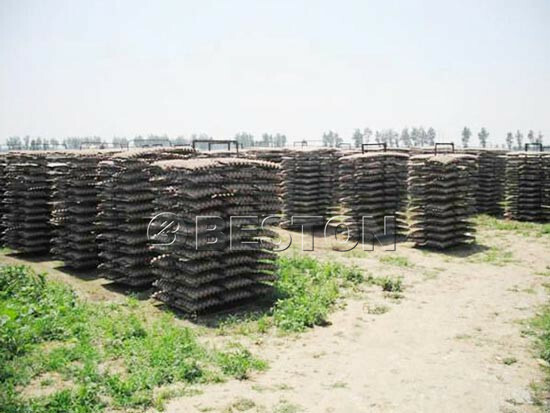 The egg tray drying line: metal drying line has higher price than brick drying line. Certainly, they all have their advantages as mentainoned above. If you want to know more details, contact us now! 1. Adopting waste paper is a good way to achieve its value and to protect the environment around us. 2. We have different types of paper egg tray machines. So they can meet your different requirements. 3. 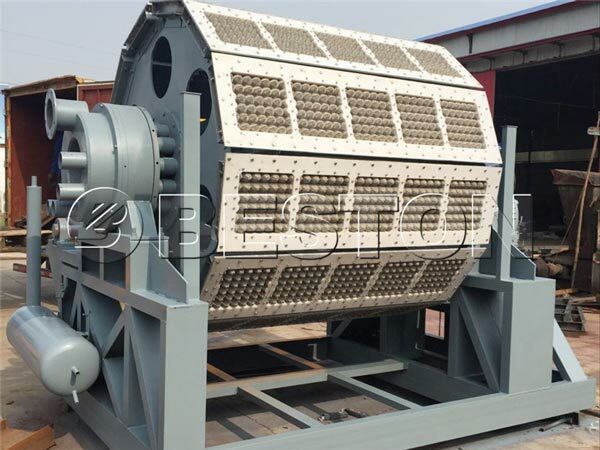 The egg tray forming machine has easy operational system and high efficiency. 4. Automatic dryer can greatly save labor costs. 5. Short delivery time: We have abundant and experienced workers who can manufacture eggs tray making machinery in short time. 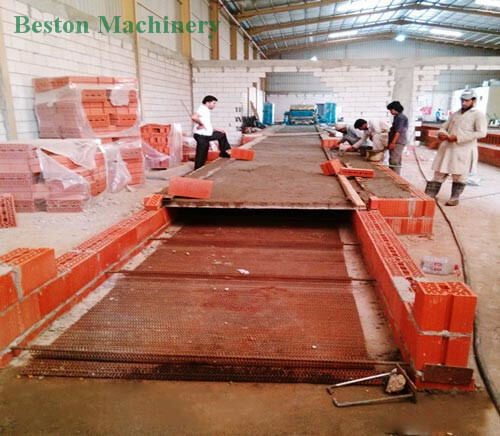 Commonly, 1000-1500pcs machine needs 7 work days; 2000-4000pcs egg tray production line for sale needs 20 work days. How to Make Egg Tray With Egg Tray Making Machine For Sale? 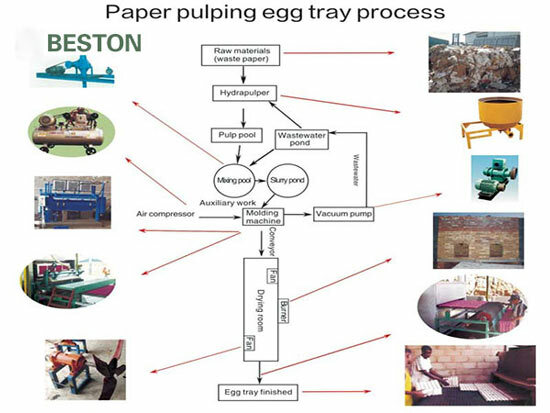 The main working process of egg tray machinery is composed of pulping system, forming system, drying system and packing system. All waste papers are smashed to pulp by hydraulic pulper. When reaching to certain concentration, the egg tray pulp can be conveyed to the forming system. After formed, the egg tray paper needs drying because the paper egg tray has some moisture. Finally, pack the paper egg tray into piles after drying. Do you want to know the details of making egg tray and the proportion of raw materials? 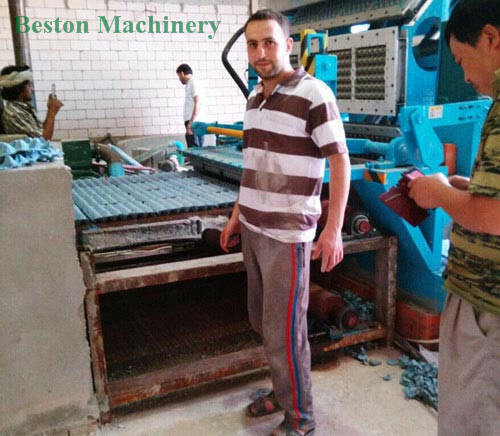 We have professional experts to solve your problem and offer the most suitable paper eggs tray machine and plans for you. 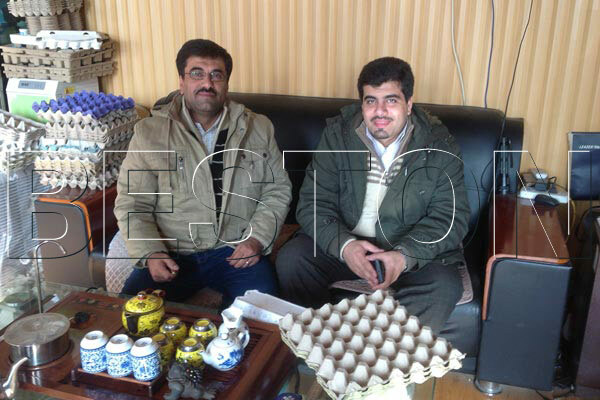 You also can know more about egg tray manufacturing project report here. 1. We offer 24-hour online service. Don’t hesitate. Any consultation is welcomed. After receiving your message, we will reply as soon as possible. 2. Egg tray make machinery and mould have standards, and they satisfy the majority of customers. If you have any special requirement, communicate with us. We can customize paper egg tray plant for you in the light of your conditions. 3. We will dispatch our technician to help you to install and debug egg tray plant in your site according to your demand. Also, training staff is available. 4. We provide technical support online for you. If you have any technical problem about egg tray making machines, just message us. We will provide the most professional technical guidance. 5. We offer first class egg tray manufacturing equipment and lifelong maintenance. 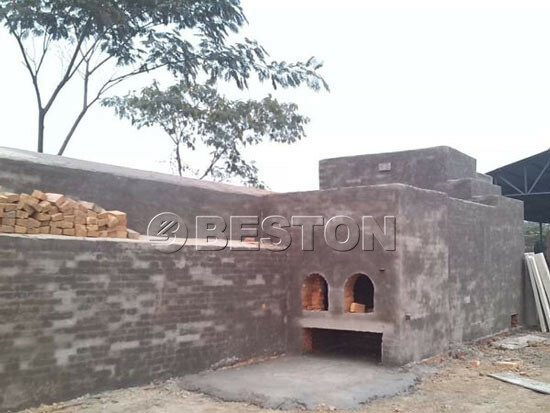 Beston Machinery is a large enterprise which specializes in producing various kinds of egg tray make machines. 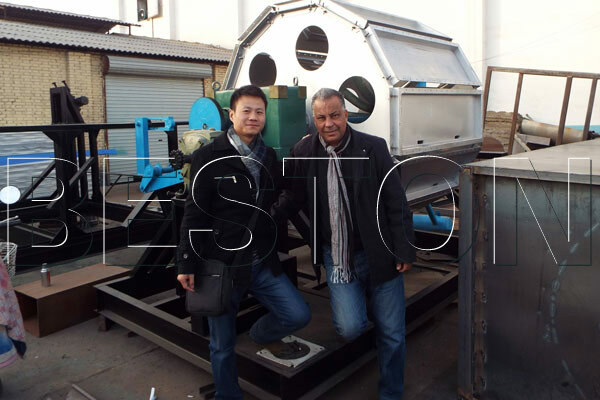 With professional engineers’ and skillful staffs’ efforts, we have been researching and developing our egg tray forming machine for sale. Every time the innovation can make Beston machine more efficient. 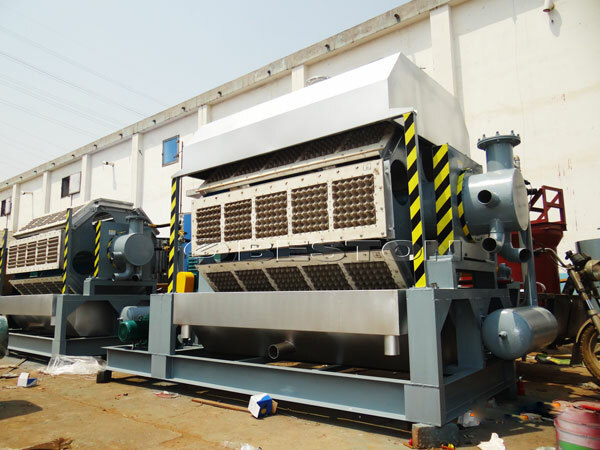 We would like to design and upgrade egg tray machinery for sale to meet your special requirements. Beston machine is worth investing. You will gain high returns. We are looking forward to cooperate with you. We welcome your consultant.